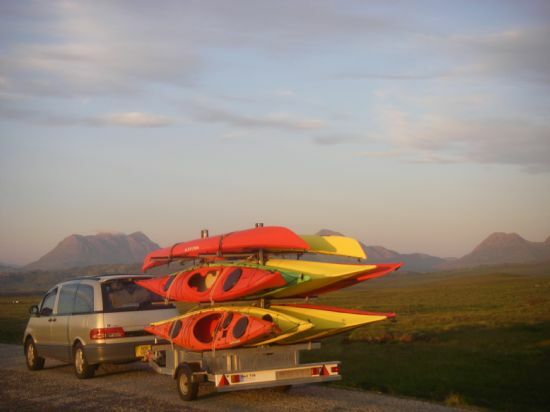 Norwest Sea Kayaking offers hire of sea kayaks, equipment and kit to suitably experienced individuals, groups and clubs. We stock a selection of Valley, P&H and Venture sea kayaks. We stock Werner Tybee paddles and Peak UK paddling kit: spraydecks, kayaking jackets, boyancy aids & paddling trousers. All of NorWest Sea Kayaking's kit is renewed annually, so you will be assured top quality equipment. We are happy to give advise on places to paddle and can help you prepare for your trip. NorWest Sea Kayaking can also organise group/club self guided trips. Including pick up & drop off from Inverness airport/rail station. We are also happy to do drop off's and pickups with or without hire.